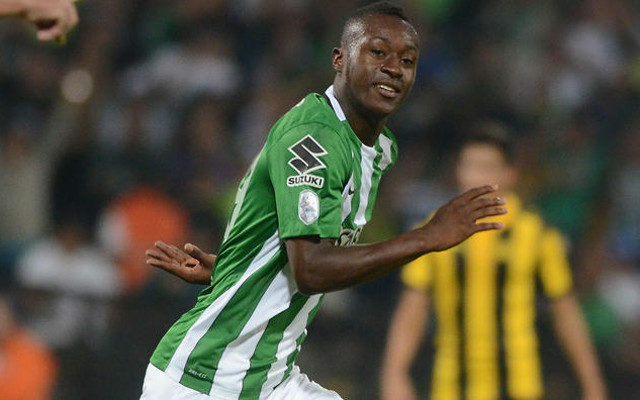 Colombian forward Marlos Moreno has enjoyed a promising start to his young career, and could be on the track to a spot in the Premier League with a Manchester City primed to sign him. According to the Metro, Man City have agreed to an £8.23 million deal for the 19-year-old forward from Atletico Nacional. In doing so, Pep Guardiola beat his Man United rival Jose Mourinho as well as Primeira Liga giants Benfica to the punch. Per the source, Guardiola intends to loan the teenage striker to La Liga outfit Deportivo once the deal is signed. Moreno set a club record this past year by scoring a goal against Atletico Junior in just 30 seconds. In two seasons with the club, he has five goals.